Eco-Kare worked with Ausable-Bayfield Conservation Authority, Animex, and Royal Fence to install 200 m of exclusion fence on Outer Drive near Port Franks, Ontario. The site has been surveyed by volunteers and the Conservation Authority and is a high turtle road-mortality location. Eco-Kare is working with the Conservation Authority to monitor the area with cameras in 2017. 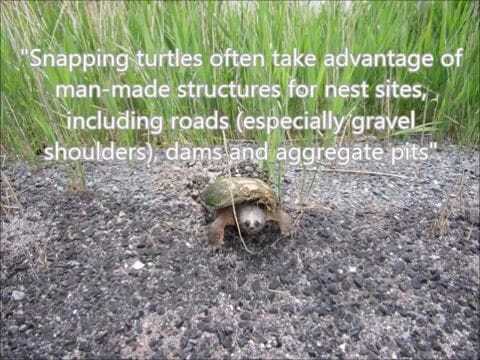 The drainage culvert has potential for use by turtles to safely cross the road. There is an issue with beaver activity in the area, so in addition, a turtle-friendly beaver-exclusion system will need to be integrated as well. Read follow-up story here.